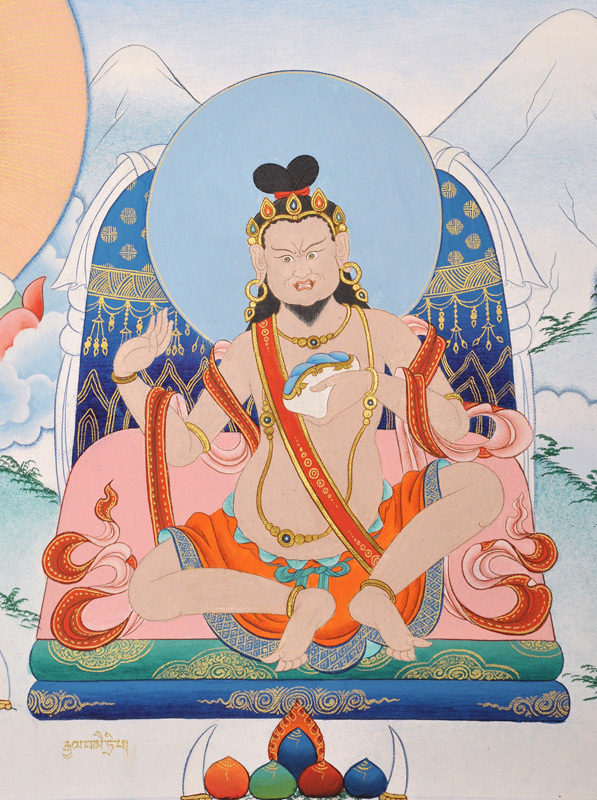 He was brought to his own enlightenment through mahamudra under Shawaripa and, most importantly, became the guru of Marpa, the Tibetan forefather of the Kagyü lineage, and of Khyungpo Naljor, the founder of the Shangpa lineage. It is said that he had been a student of Naropa, when the latter was head of Nalanda monastic university. Later he had spent time at Vikramashila, which was enjoying its zenith of fame. The great Atisa was its head of discipline. 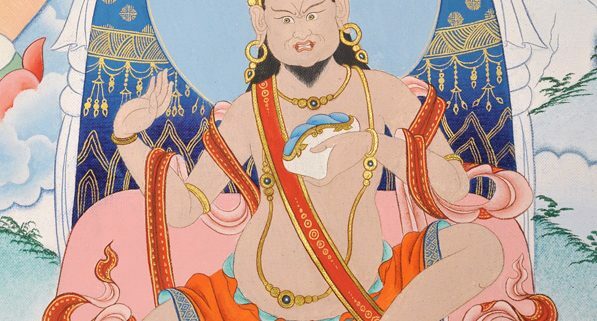 Despite knowing Maitripa’s pre-eminence as a scholar and yogin, he was obliged to expel him when his yogic activities (involving alcohol and a woman) caused gossip. The monastic community only realised their loss when Maitripa showed his realization by the miracle of using a small leather cushion as a boat to cross the nearby Ganges. Thereafter he lived the life of a mahasiddha and it was during that time that he took Shawaripa as his guru. Such anecdotal stories are interesting but in many ways detract from the spiritual immensity of someone such as Maitripa, whose purity of mind and breadth of dharma were to leave an impact for thousands of years. We feel something of his immensity in the biography of his student, Marpa, who is overwhelmed with bliss at the mere thought of him.